Being able to play the blues on guitar is a useful skill for any beginner player to have. There’s so much you can do if you know the blues, so it really does open up your world to more possibilities. If you’re new to this genre though, don’t worry. We have a few tips to get you started and help you learn the fundamentals of playing blues guitar. For our first tip, any serious blues player has to know one scale above all, and that’s the minor pentatonic. Of course, there are plenty of other scales to know, but if you have to start somewhere, this would be a good place. 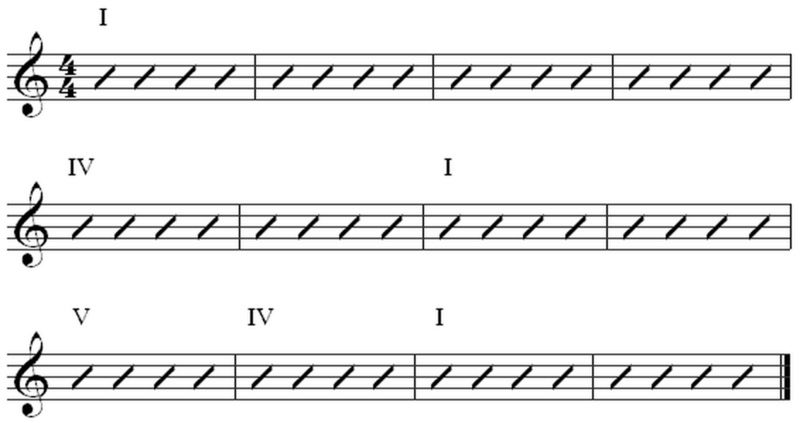 The minor pentatonic scale is a scale with, as its name suggests, only five notes. It’s also based on the minor scale, as opposed to major, so it fits in perfectly with the blues. 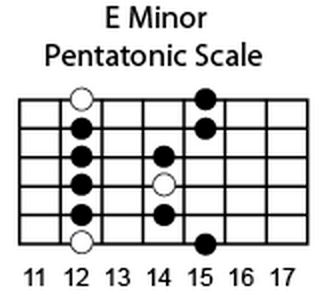 Here we have an example of the E minor pentatonic scale and how to play it on your guitar. You might notice there are more than five notes though, but that’s because we do a few runs and play the root note more than once. Really though, there are five notes per octave. The minor pentatonic scale, and also the major pentatonic, are both important parts of playing the blues, so one of the best things you can do for yourself is get a hang of their patterns early on. These will come in handy later when you’re ready to start soloing. The next lesson in blues guitar for beginners comes in the form of the twelve bar blues, which is a chord progression that you’ll hear a lot of in the blues style. It involves usually only three chords in a key, the I, IV and V chords, played across twelve bars. The I chord is the root of the key, so if you want to play in the key of C, the chords you’d be using are C, F and G. Similarly, if you want to play in the key of E, you’d be using E, A and B. Ideally, you’d want to play all the chords as major chords, or all of them as minor, but you could throw in some dominant 7 chords if you like. Here we’re also including a diagram so you can see when to change chords in the progression. The twelve-bar blues is a very common progression that’s great for soloing over in the minor pentatonic, so if you’re comfortable now with both, try combining them into a single piece. These are essential blues guitar lessons for beginners, but there’s plenty more to learn, so after you’ve looked at these, try expanding your knowledge and tackling new challenges.